During soccer season, I can’t make up my mind whether I love it or hate it. I enjoy watching the kids run and play.I look forward to sitting on the sidelines or walking the field getting Fitbit steps with my peeps. During practices and games, I couldn’t imagine sitting at home. I must enjoy it. I write about soccer life every season! It’s that rush to finish homework and get dinner served early enough to eat a couple of hours before practice starts that’s tough. Almost as tough as trying to get the kids home, showered, and asleep by a decent time after a late practice. 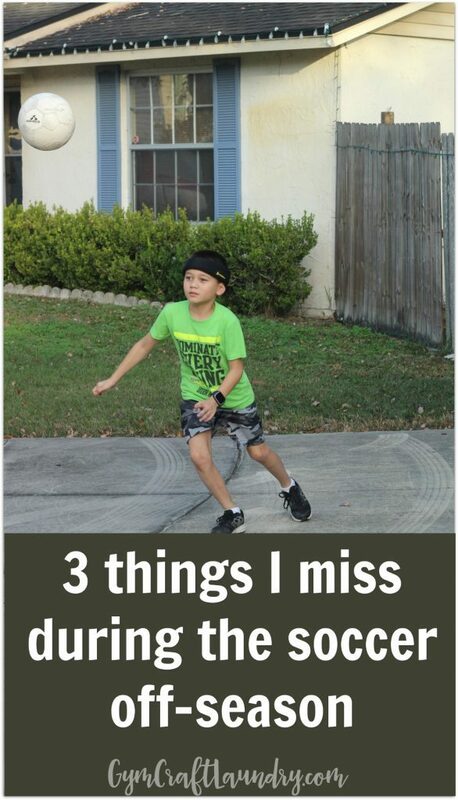 But since my kids can’t think of a better way to spend a day than kicking their soccer balls around, I am pretty sure this is a cycle of on and off seasons that won’t be changing anytime soon. Pork Chop has been playing since he was four years old. 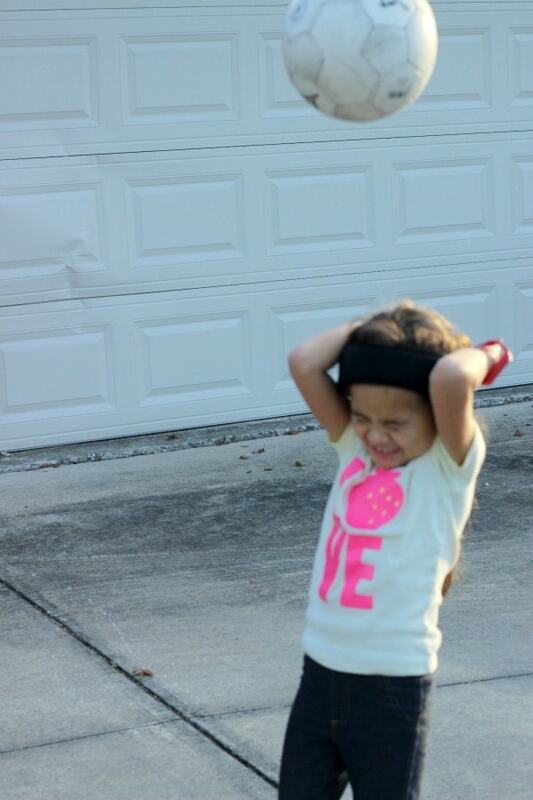 I miss all the outside time the kids get during the soccer season. 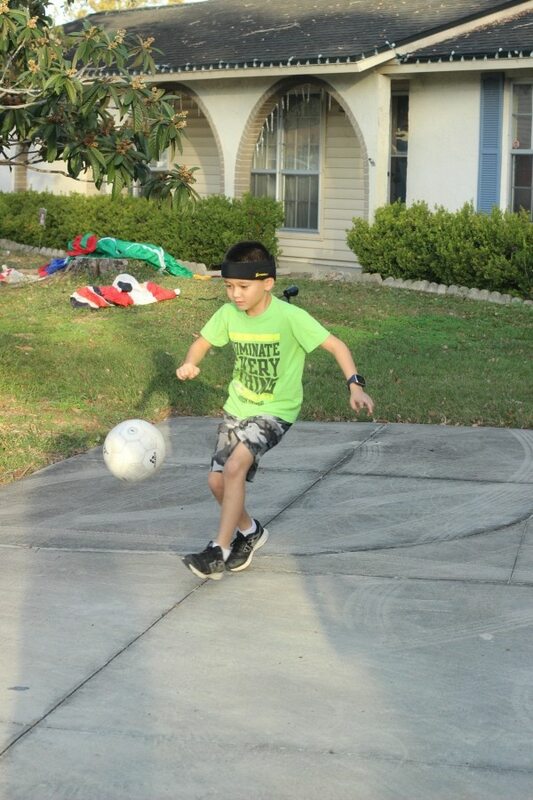 With one child’s practice starting after the other’s ended, we would be outside on the soccer field for at least 2 hours a day 4-5 times a week. The fresh air and sunshine does wonders. 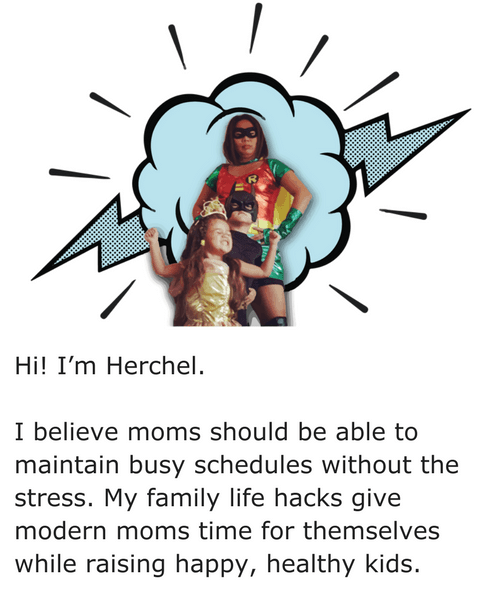 My kids are better behaved, sleep more soundly, and are happier when they spend more time outside. Between spring and fall soccer, the kids spend all their time in the pool. During the winter off-season, they get much less time outdoors. Sure I connect with my soccer friends online and see some of them at parent pick up. But there is comfort in knowing that you’ll see your friends at the soccer field several times a week for a few months. My kids have played on the same team for years. The parents all know each other. Some of the other soccer parents on the team are actually my cousins. It’s sad that we get so busy that it takes a practice schedule to get us together. But I enjoy seeing them regularly and remembering when we were little kids chasing each other while our parents chatted. Every season the “soccer moms” (which is in quotes because the dads are involved too) remark on how it takes nearly the whole season for the team to come together and play in sync–like we know they can. I blame it on the “summer slide.” Just like with school work, the long break erodes some of the kids’ skills. 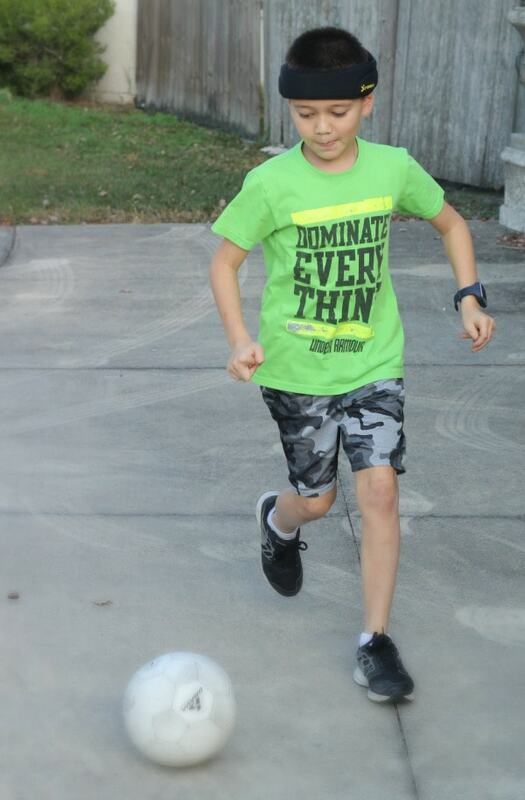 I don’t miss the drills because I want the kids to be soccer superstars before the age of 12. I miss the drills because I believe consistent training and coaching makes them less likely to injure themselves or others. Injuries are a real concern. During an evening game last season, Pork Chop’s head collided with the ball. Hard. The next morning the same thing happened again. The first time, he was visibly shaken and we were concerned that he had a concussion. The risk of concussion in the under 10 division is why the YMCA stopped letting the kids head the ball in this age group. I wish he had been wearing the Storelli ExoShield Head Guard when that happened. 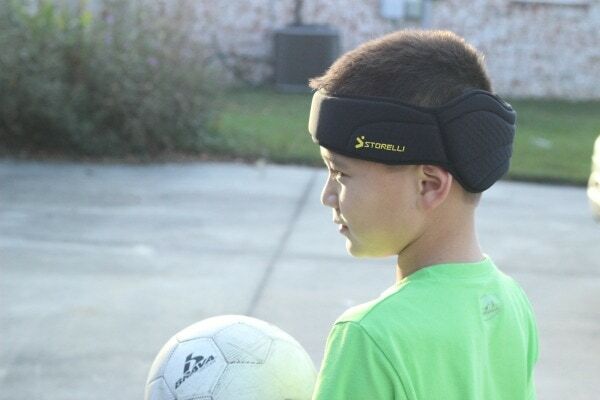 If your kids play soccer be sure to check out the Storelli Head Injury Report. The Storelli ExoShield Head Guard helps protect your athlete from head injury and is armored with materials to absorb 90% of impact and reduce G-Force affects to the head by more than 50%. Storelli is taking on soccer’s biggest issue head on. This off season we are practicing more and sporting our Storelli ExoShield Head Guard. I can see how you could miss that stuff. Especially when it becomes routine! Fresh air and good people are always a plus!